App Reviews can impact a user's decision to download or buy your app, and provide valuable feedback for enhancements and issues for v.next. It's important to make it apparent and easy for users to add a review for your app so you are sure to gather as many of these reports as possible. 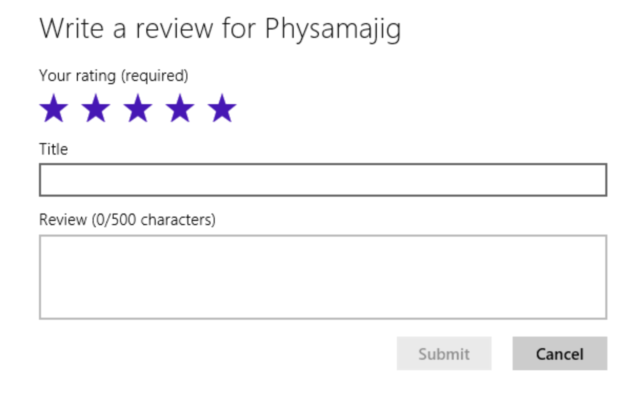 Through the Windows StoreThis one is pretty obvious, but if a user visits the Reviews link on the page for your app in the Windows Store, they can choose "Write a Review," which brings them to the "Write a Review" page. 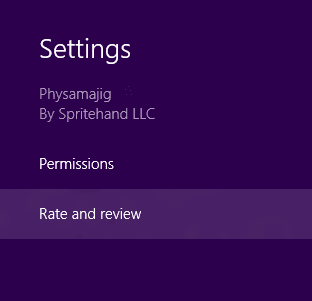 Through the Settings PaneThis one is provided automatically for every app on the Windows Store - but note that you will not see this link while you are developing/debugging you app! It will only be visible after your app has passed certification and has been installed from the store. While the built-in Settings Pane support for Rate and Review is great, there are times when you want the Rate and Review option to be a bit more apparent to the user. Maybe after so many days of using the app, you would like to try and coax the user to write a review through a link you provide. (Just replace MY_PACKAGE_FAMILY_NAME with your app's PFN).